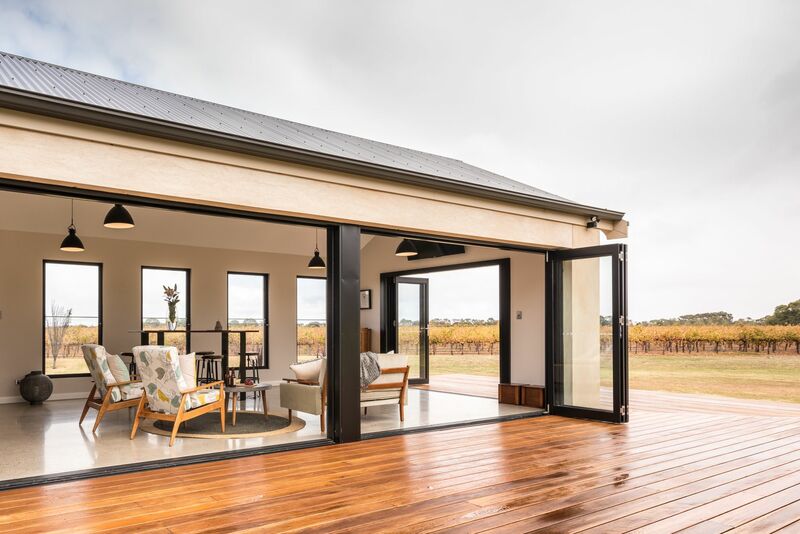 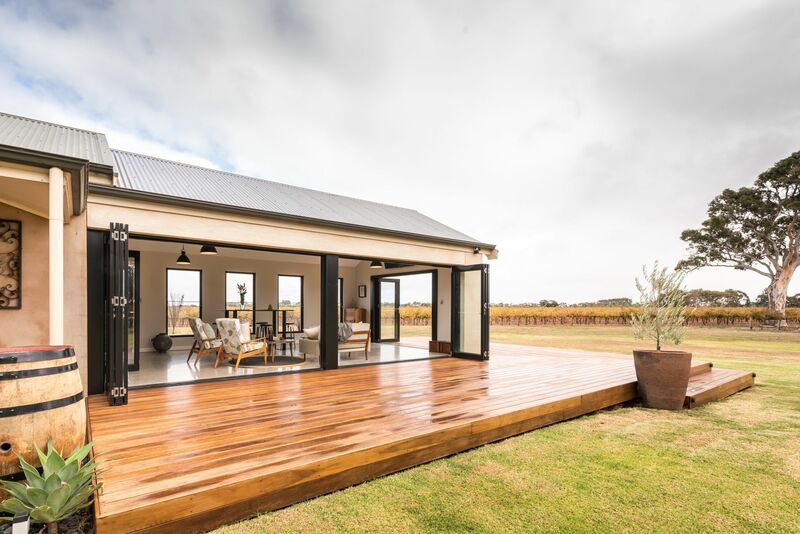 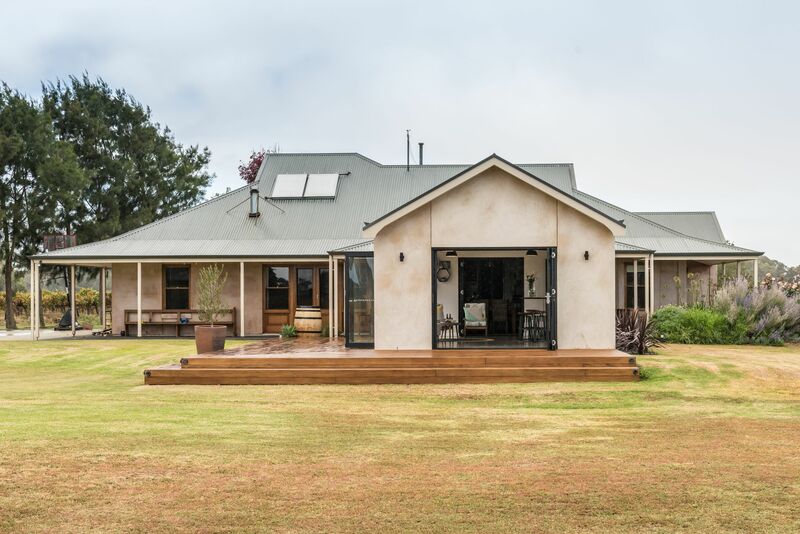 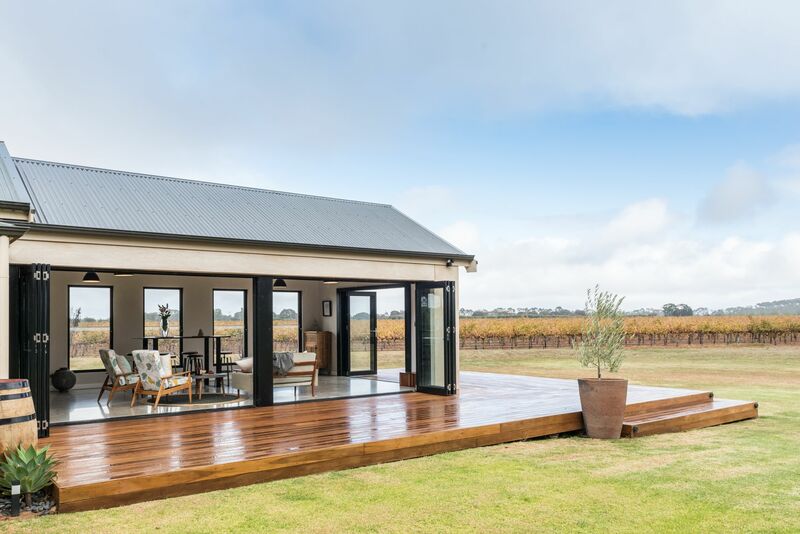 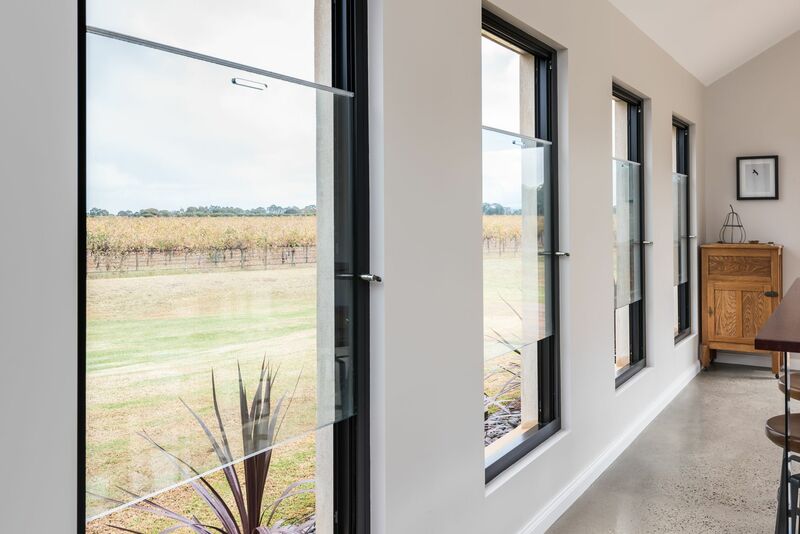 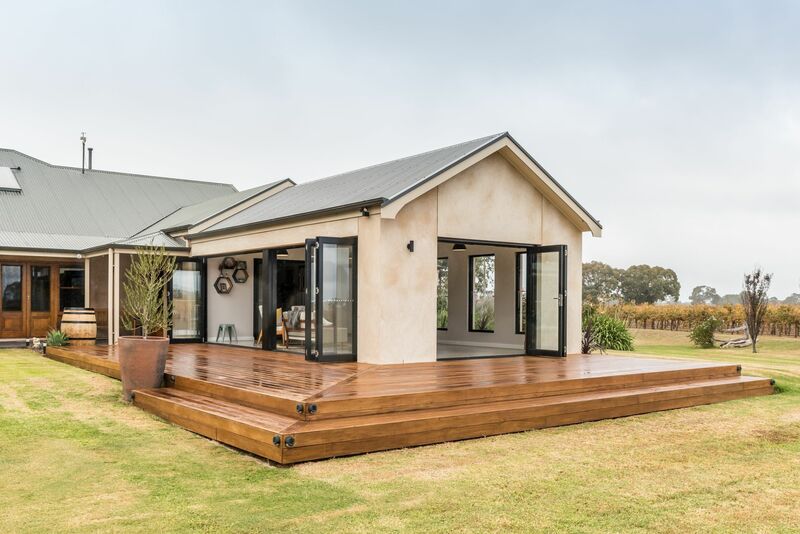 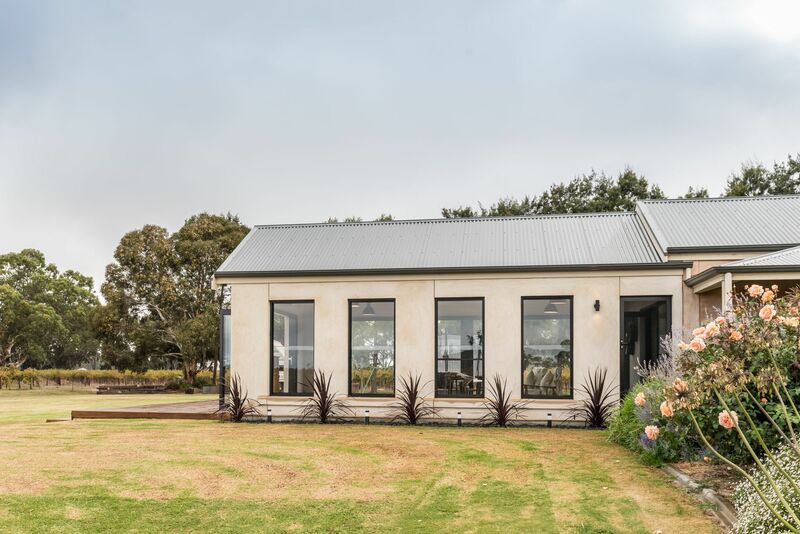 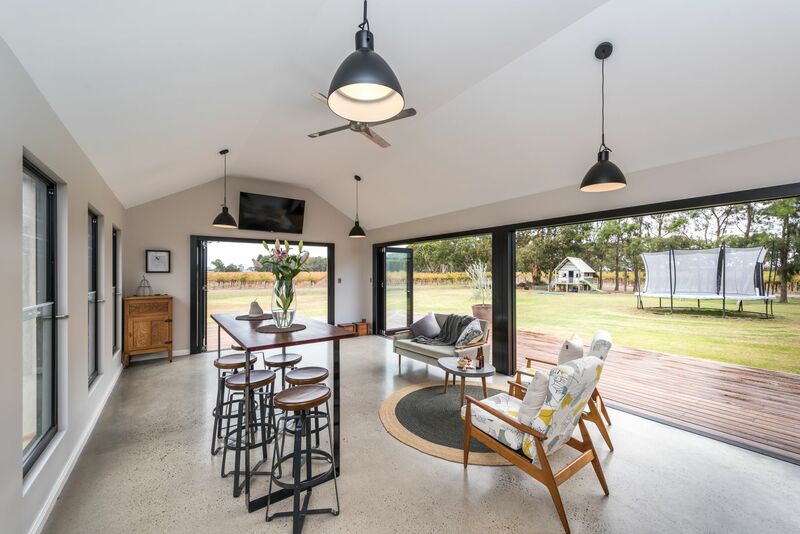 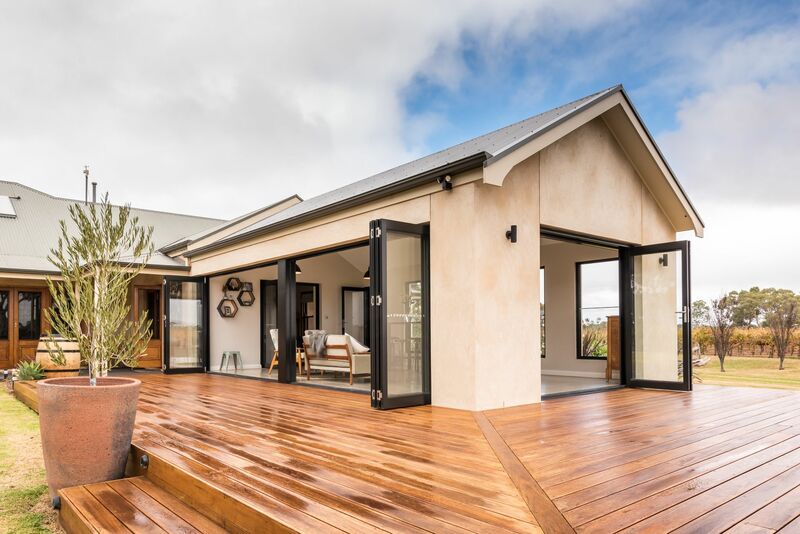 Aaron Martin Construction were asked to build a one-room extension and a new deck on this beautiful home nestled in a vineyard in Langhorne Creek, just outside Strathalbyn. 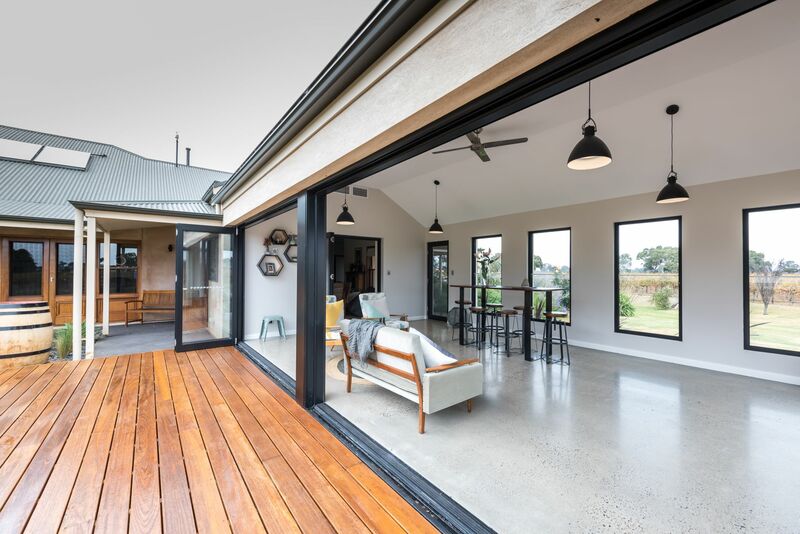 The brief was to create a fabulous indoor/outdoor area for entertaining. 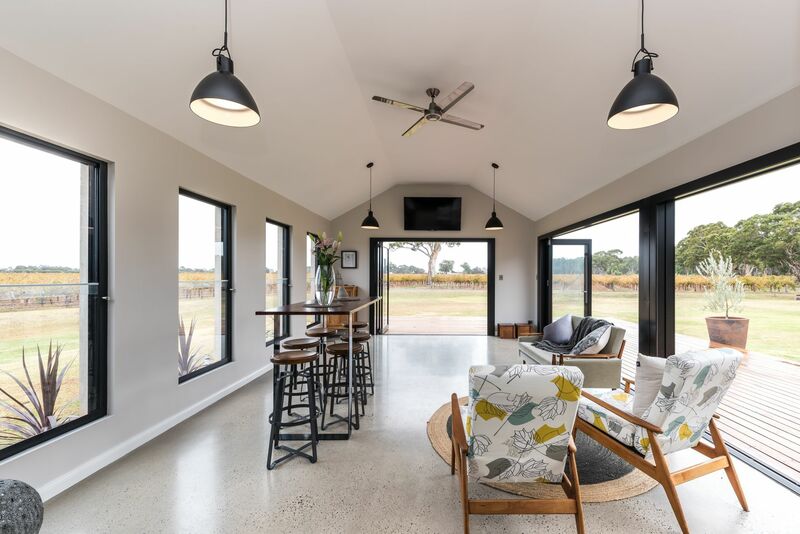 Carefully designed to harmonise with the rest of the house, the space is contemporary yet welcoming, with polished concrete flooring and large, double-hung sashless windows lining the rear wall. 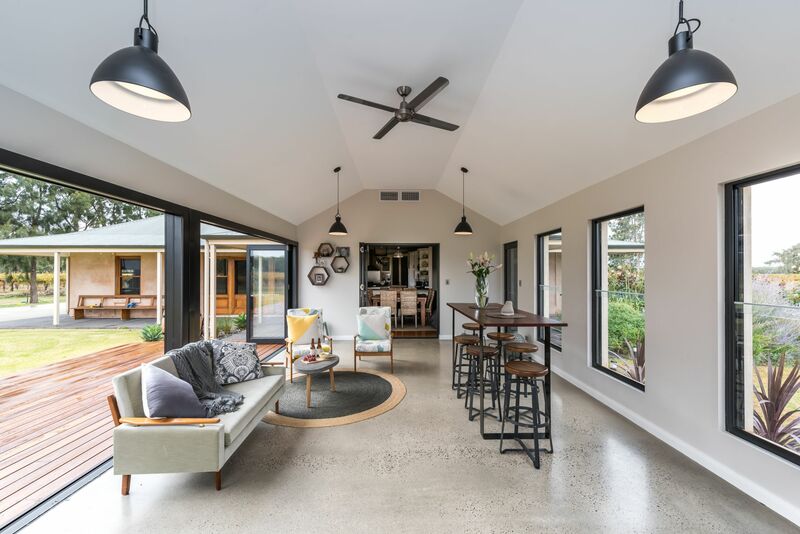 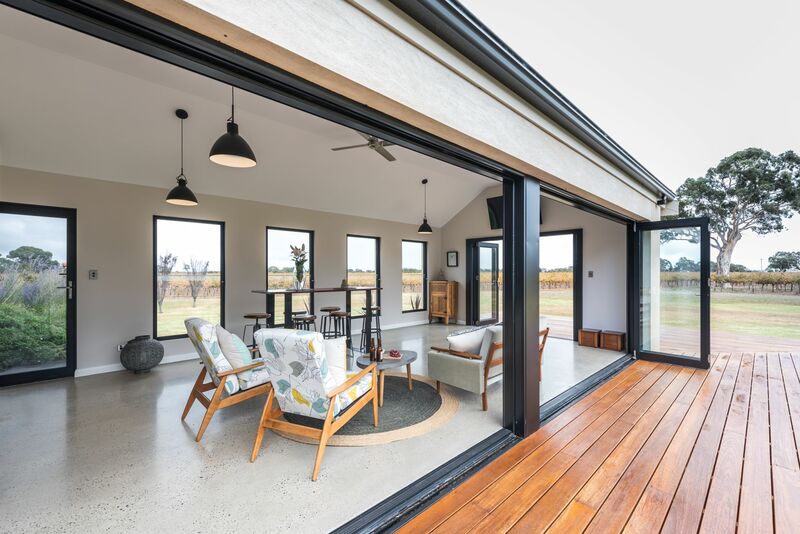 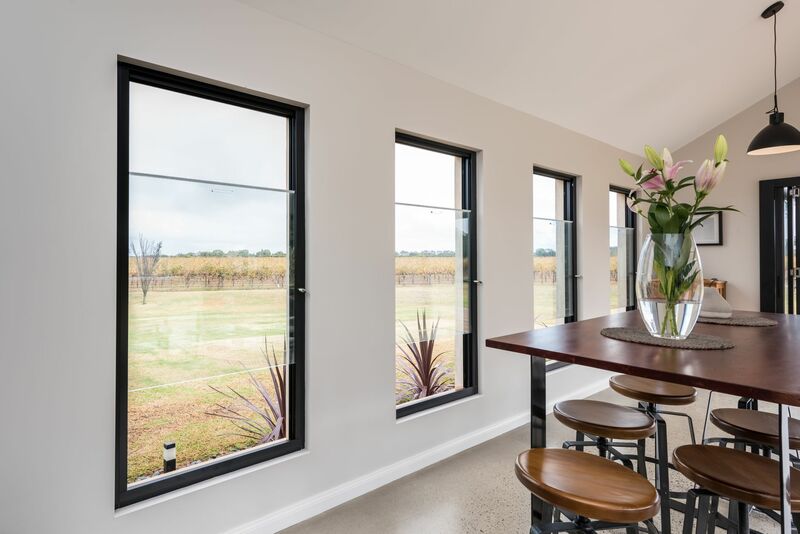 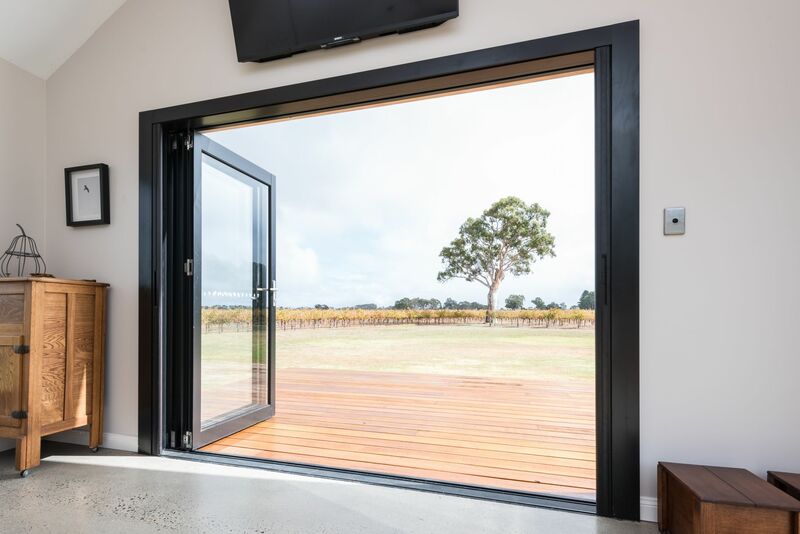 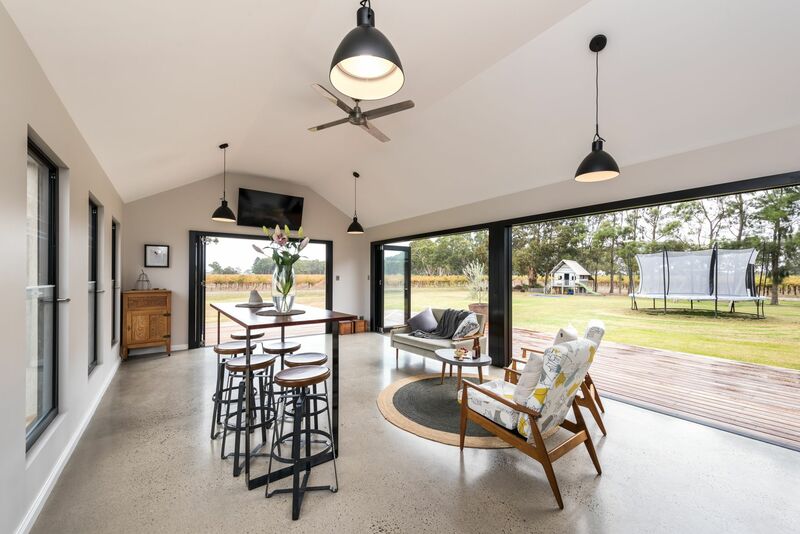 Two sides of the room open seamlessly onto the blackbutt timber decking via a massive system of commercial-grade black aluminium bifold doors, which form a striking visual feature in themselves. 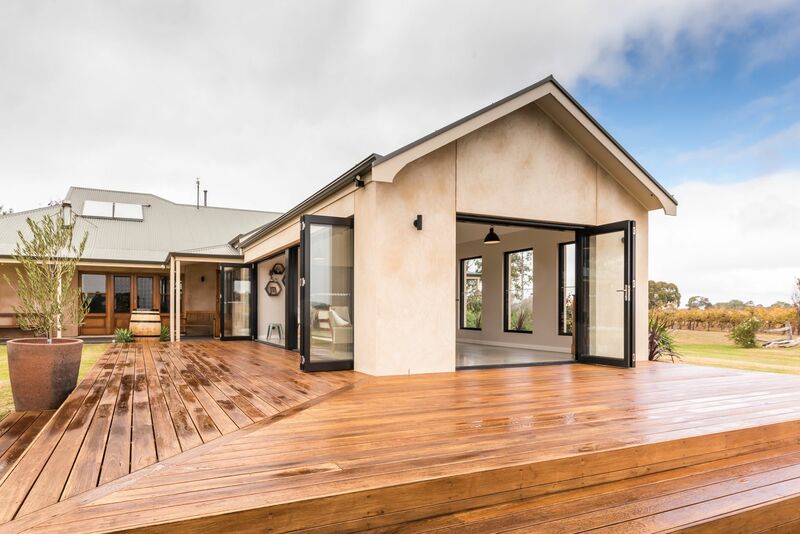 The decision not to put a rail on the deck further adds to the wonderful sense of openness.